Brian just sent this picture. 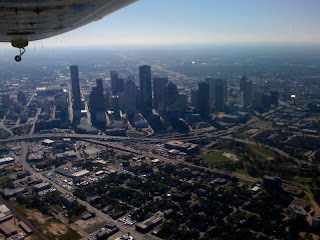 I hope there are Houston residents out and about to wave at the airship! My wife and I did see the airship as it was passing west along I-10 near Grand Parkway (Tx-99) near Katy Texas. At first I couldn't believe it - as I was totally unaware of it's existence; but now am happy to know that rigid-frame airships are back.